Torch: Rod-only glass style. A stable blue that is not prone to reduction in a neutral flame. Lighter color saturation than Steel Blue Transparent (001406-0576). Kiln: Rod-only glass style. Less saturated and more transparent than Steel Blue (001406-0576). 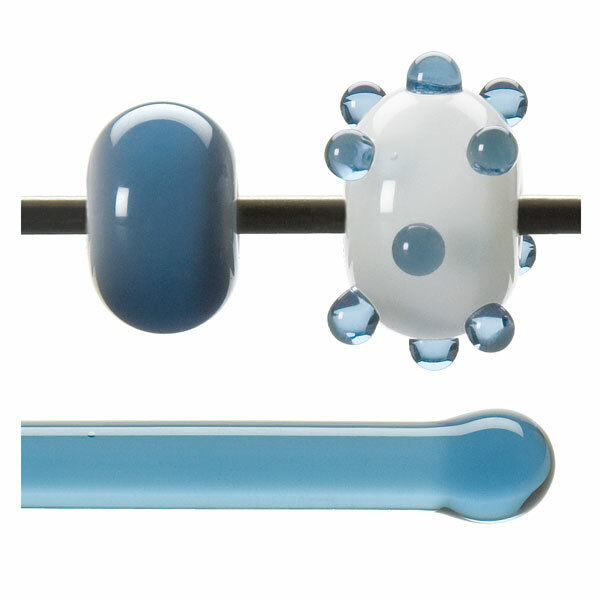 Pale Steel Blue is consistent in color and more predictable than Steel Blue Opal (000146-0576).